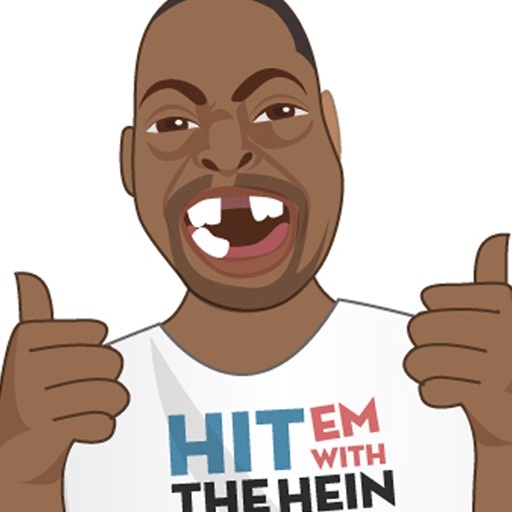 Beetlejuice is undeniably the #1 Wack Packer on the Howard Stern Show. 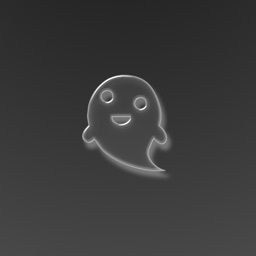 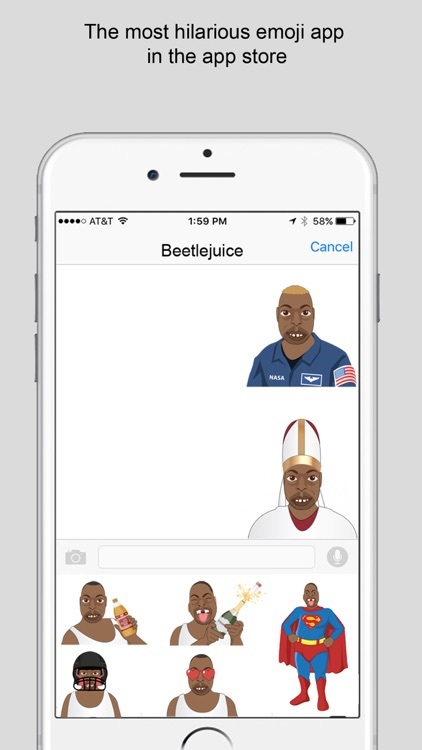 Beetmoji is Bad as Can. 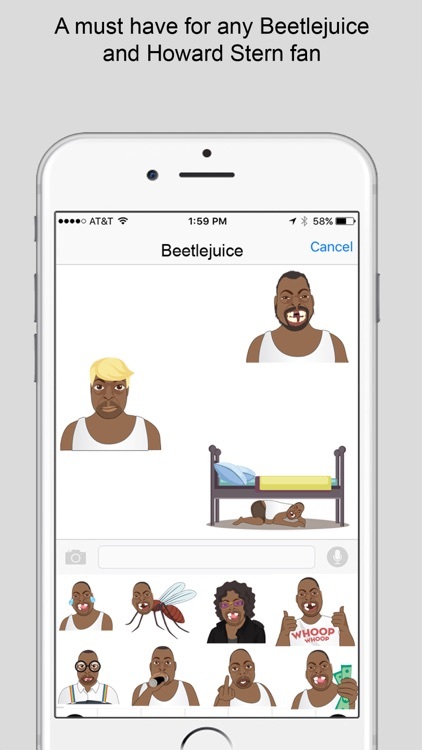 Now you can send hilarious Beetmoji's to your friends and family. 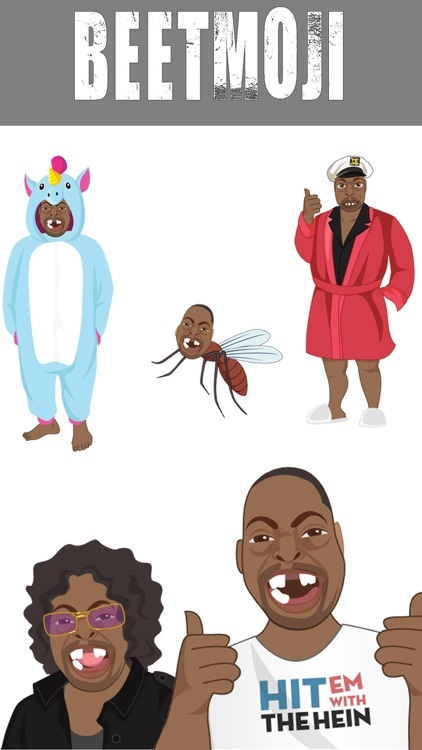 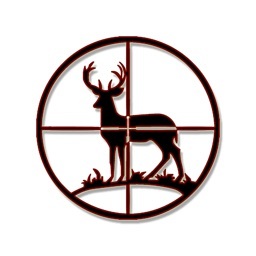 The app will be updated weekly to include new emojis relevant to the show. 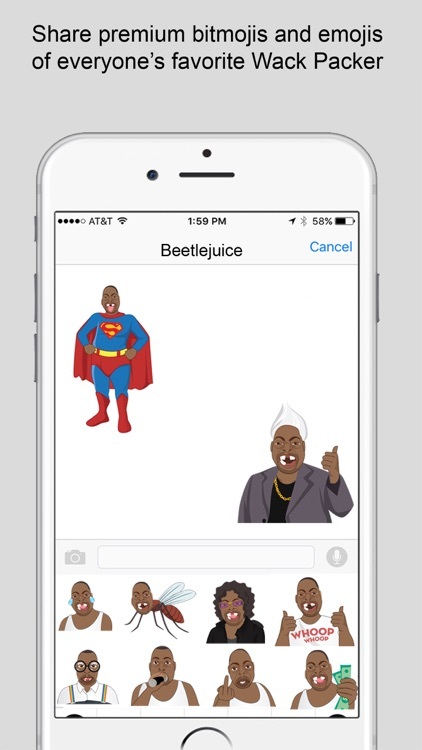 Over 85 crazy and absurd Beetlejuice Emojis and Bitmoji with more added weekly!